Your loved one was just arrested and put in jail. As your mind starts spinning, you realize that you need to help them post bail. You may be thinking that all bail bondsmen are the same and that you can contact any agency to achieve the same result. Contrary to popular belief, no two bail bond agents are the same. 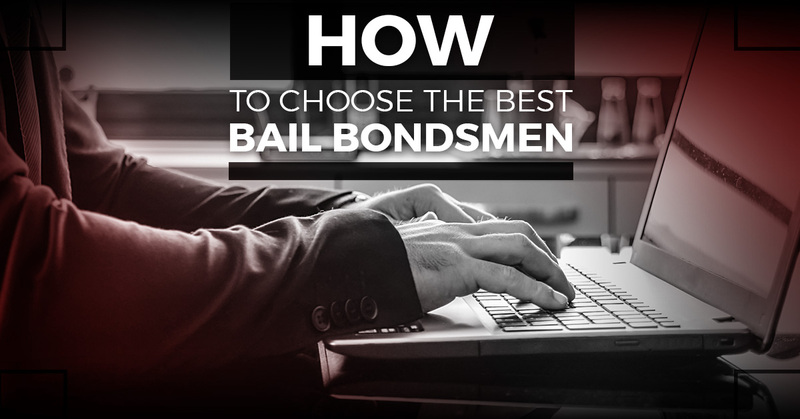 In this blog post, we will provide some tips for choosing the right bondsman for your situation. Experience – We highly advise against teaming with a bail bond company that seemingly popped out of nowhere. Whether it’s you or your loved one dealing with legal trouble, you need someone with ample industry experience. We are proud to say that ABC Bail Bonds in New York City is a third generation business with well over five decades of experience. We’ve been there and done that when it comes to bail bonds service. Even if you believe that you have a unique situation, chances are that we’ve tackled something similar at some point. Reliability – This is just as important as experience. By no means do you want to work with a shady bail bondsman who is more concerned with making a quick buck as opposed to caring about your well-being. It’s always a good idea to look for a company backed by the Better Business Bureau. Professionalism – The job of a bail bond agent isn’t to scold you or your loved one for their arrest. These folks should be certified, highly trained, and strive to expedite posting bonds. Taking it a step further, ABC Bail Bonds will treat your matter with the utmost discretion and confidentiality. Flexible payment options – It can be pricy to get yourself or your loved one out of jail. That’s where the top bail bondsmen come into play. At ABC Bail Bonds, for example, we are creative and client-friendly in terms of payment. We accept all major credit cards and personal checks for your convenience. Plus, we will provide the details of repayment in easy-to-understand terms. Be aware that some agencies require collateral, while others do not. Integrity – Some bail bondsmen won’t even give their clients the time of day. Again, all they care about is your money and nothing else. However, we understand that your call to us may be the first time you ever deal with a bondsman. That’s why we encourage clients to ask all the questions they may have. In what could be one of the most negative moments in your life, we hope to be a positive. Rest assured that our agents are here to give you the best and most current information to help you and your family get through such a difficult time. Emergency assistance – Is there ever a convenient time to be arrested and put in jail? We don’t think so. Our bail bond company is ready to help 24/7 when others are closed. There’s no need to wait several hours or days just to speak with a bondsman. As soon as the judge sets your bail amount, we will go to work for you. If the time comes where you need to choose a bail bonds service, you can feel comfortable teaming with us. Call ABC Bail Bonds now.